Wings Like Eagles helps to provide lifesaving helicopters and air coordination to the disaster afflicted in southern Africa, starting in Mozambique. Natural disasters are frequent in this region and, starting in 2007, we have already helped deliver tons of emergency relief. Where we work about 500,000 people can be affected by disasters each year. Wings Like Eagles aims to respond quickly. That is when most lives can be saved, when the right aid can be delivered to the right places and when press access can help all agencies fund raising. Wings Like Eagles’ allies have their helicopter based in South Africa. 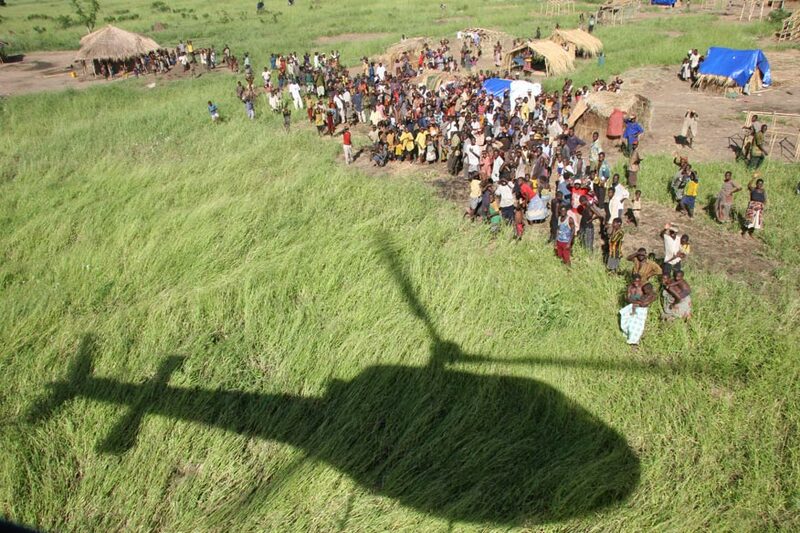 Our potential area for relief flights is focused on Mozambique but also extends into Malawi, Tanzania and Zambia. The people in these countries have very low average incomes and are frequently affected by natural disasters. There are also many remote areas. 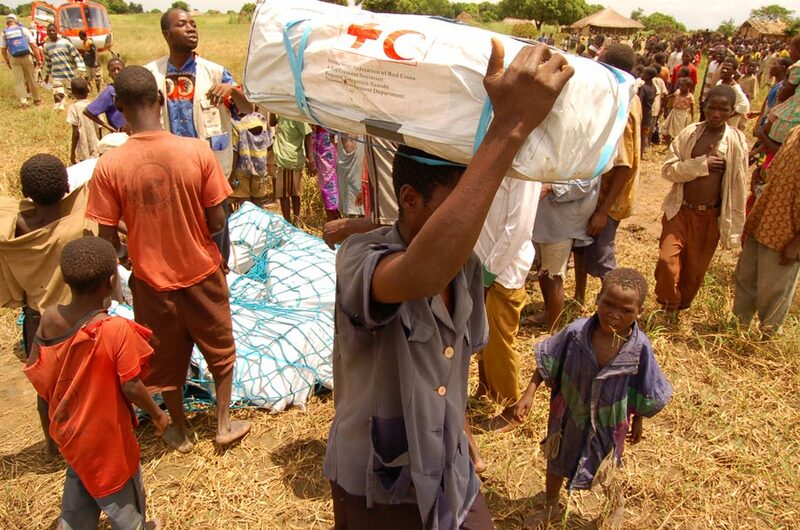 This means that when disaster strikes it can take weeks for supplies to arrive in rural villages by road. So by using a locally-based helicopter and, where possible, by organising other helicopters owned by our strategic partners in the region, Wings Like Eagles can provide an early response to emergencies and so save lives. Of course it is satisfying for us when we save a life. This may be by flying a doctor, medical supplies or food into the heart of a stricken community. And we enjoy making direct contact with the people we are helping. It is a special privilege. But there are other, less obvious ways in which a helicopter can help. 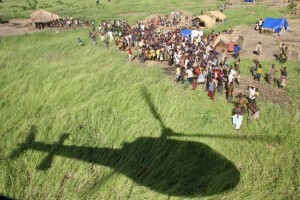 For example, aid experts get an eagle eye view by flying over the disaster. This means efficient boat, truck and air rescue plans can be made. And if a journalist gets quickly to a disaster they can rapidly send the story around the world. More timely donations to the aid organisations may result, and so the people affected can get more help, more quickly. That is great! So whilst the Wings Like Eagles team is small, we react quickly. Your generosity can help us to do that. If you are thinking about a donation why not go to Giving to Wings. If not why not look at our News.